Marie Laurencin is best known for her images of women. Through pale colors and distinctive facial features, Laurencin’s women stand out among the works of her male contemporaries within the Cubist movement. Her interests in many contemporary art forms, including music, dance, poetry, and art, are reflected in her artistic output. A poet, set, and costume designer for the Ballets Russes, and artist, Laurencin frequently merged her interests through her work. 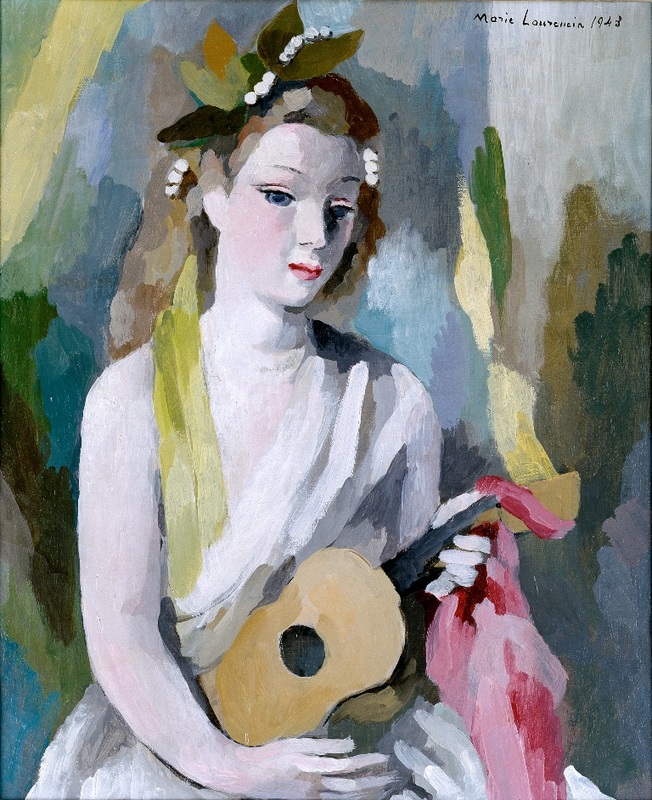 Here, the woman with her guitar, dressed in a draped garment with a crown of leaves, can be interpreted as a modern muse.